Looking for a Coral Springs Public Adjuster? If you have suffered damage to your Home, Business or Boat whether due to Fire, Water, Lightning, Wind, Hail, Tornado, Vandalism, Hurricane or Sinkhole – We Can Help as your Public Adjuster in Coral Springs! Don’t settle for less than you deserve, as Florida Public Adjusters we fight to recover every dollar you deserve for your insurance claim! 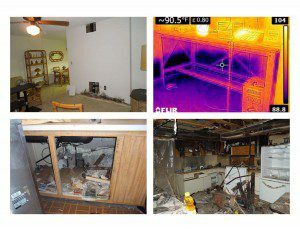 Free Claim Review with a Coral Springs Public Adjuster! When you file an insurance claim your insurance company is going to send an insurance adjuster that they pay and have trained to represent their interests throughout the claims process. Our Florida Public Adjusters utilize the latest in technology to assist our clients in recovering the largest settlement available for their damages. We on the other hand as Licensed Florida Public Adjusters, are hired directly by you and will exclusively represent your interests throughout the claim process. We will ensure that you are fully and properly compensated for your loss. What is a Florida Public Adjuster? Many people are confused over the term “Public Adjuster” and we are often asked “what is the difference between a Public Insurance Adjuster and a Private Insurance Adjuster?”. The answer is simple, a Public Adjuster is your personal Private Adjuster that will represent your interests and assist you in recovering the largest settlement available for your damages. We have a licensed Florida Public Adjuster in Coral Springs ready to assist you with the handling of your insurance claim. We work strictly on a contingency basis, meaning we only get paid when you get paid. You don’t have to go through this alone, we are the experts to help you through this process. Our licensed Florida Public Adjusters will take care of everything from filing, compiling and ultimately settling your insurance claim for the maximum amount available under your policy. Free Claim Consultation with a Florida Public Adjuster in Coral Springs!